The Rush County Historical Society invites you and your students to visit the county historical museums. Free guided tours conducted by our knowledgeable volunteer staff will provide your students with an indepth 30 minute tour of selected museums at the museum complex. These tours can be easily included in your current lesson plans. You can use a tour of the Post Rock Museum to . . .
provide a visual example of the skeletal differences in meat-eaters (carnivores) and plant-eaters (herbivores). Also, examples of different types of rocks and fossils will be seen. You can use a tour of the Nekoma Bank Museum to . 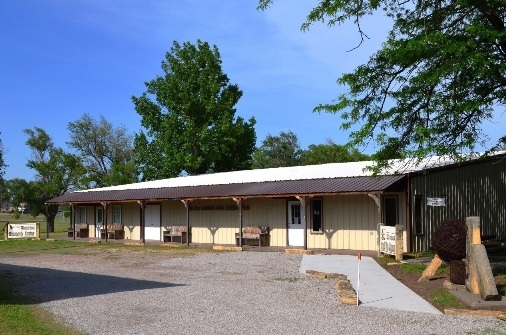 . .
You can use a tour of the Kansas Barbed Wire Museum to . . .
You can use a tour of the Rush County Historical Museum to . . . Through participating in these tours your students will have an opportunity to see and investigate real fossils; gain an appreciation for times past, explore financial and banking activities, specific aspects of farming, development of land use, and evolution of tools. View tools used by pioneering doctors, gain an understanding of the development of this area of the country, and review or apply some of the knowledge you have taught them in the classroom. Dates for special guided educational tours: To be announced. Length of tours: approximately 30 minutes per highlighted museum. How to reserve a tour time: Contact our Education Director Patricia at MuseumTours@rushcounty.org. Who can schedule an educational tour: Any school or educational group is invited to schedule a tour. We welcome and encourage any grade level to participate. Introduction - When you first arrive a member of the Historical Society will give a brief welcome and introduction to the holdings and activities of the society. Museum Tour - You will spend 30 minutes in each of the highlighed museums. You can also request time to visit the other museums in the complex. Staff members will be available to answer student questions and point out interesting items. 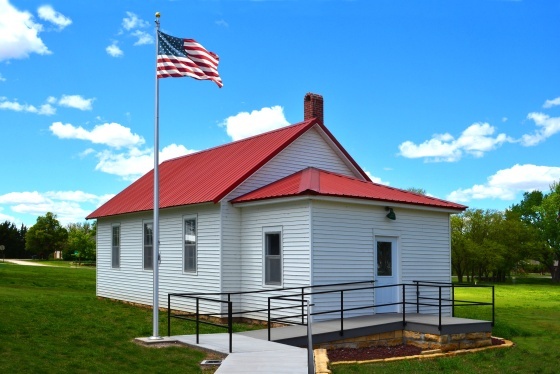 Rush County Historical Museum - Your students will have the opportunity to learn about the many aspects of the events and people who shaped Rush County. A tour of this museum will begin with an overview of why it is important to preserve local history. Students will have the opportunity to investigate changes in transportation, textiles, and technology through time. 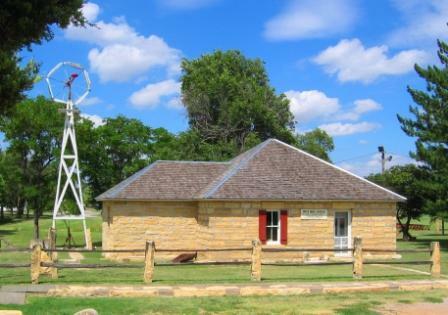 Kansas Barbed Wire Museum - Your students will have the opportunity to learn about how a single invention changed the landscape and culture of the Great Plains. A tour of this museum will begin with a history of barbed wire and its impact on history. Students will have the opportunity to compare and contrast over 2000 varieties of barbed wire and their different uses. Students may explore a variety of fencing-related tools from simple to complex in design. Post Rock Museum - Your students will have the opportunity to learn about and explore the concept of rock types, investigate Kansas fossils, learn about the impact of post rock and limestone on the lives of area pioneers, and compare the different uses of post rock limestone. A tour of this museum will begin with an introduction to the geologic history of this region and then move on to an exploration of post rock uses through a dioramic demonstration of 'harvesting' the stone and examples of the architectural and other useful items made of post rock limestone. Nekoma Bank Museum - Your students will have the opportunity to learn about the history of banks, starting a museum, preserving history, and the importance of math skills. A tour of this museum will begin with an introduction to the history of the Nekoma State Bank and its current development followed by an introduction to the history and importance of banks. Students will also have the opportunity to explore non-computerized machines used in banking and different jobs with in a bank environment. When preparing to schedule a tour please note that transportation to and from the museums as well as arrangement for appropriate adlult supervision and student behavior will be your responsibility. To assist us to continue to develop a program that will benefit you and your students we will ask you to complete a short evaluation after your visit. Classroom kits and supplies will be provided to classes participating in the targeted tours program. This is our sixth year to offer specially directed educational tours on specified dates outside of the normal season. As always, any group is still welcome to arrange to bring classes out to visit the museums when open for the season. The Rush County Historical Society invites you and your group to schedule to tour one or all of our museums. Please call 785-222-2719 to make tour arrangements.